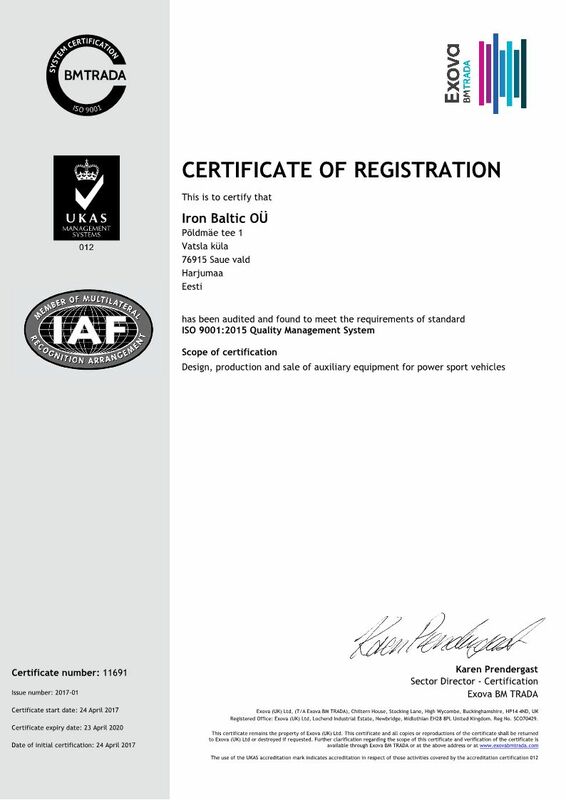 Iron Baltic is one of the largest manufacturers of accessories and auxiliary equipment for all terrain vehicles (ATVs) and side by sides (UTVs) in Europe. 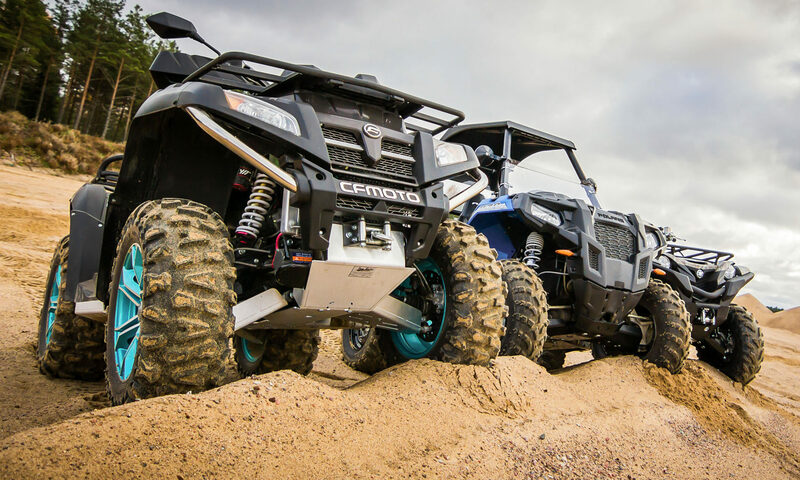 The company was established in 2006 in the tiny Northern European country of Estonia by two friends with the aim of helping people make the most of their ATVs. We started locally with custom ATV skid plates and have since rapidly expanded both our product line and availability. Currently, our range includes more than 200 model-specific products as well as an ever expanding line of universal products and our operations have been certified to meet the ISO 9001:2015 Quality Management System standards. We have, however, stayed true to our original hands-on production cycle. All of our products are designed from the ground up based on input from users and vehicle manufacturers. The designs are carefully prototyped, thoroughly tested, improved, and tested some more. Only when we are sure the product fully meets the requirements for which it is built, will we start production and even then we will do our best to develop the products further based on future user suggestions by altering designs and adding improvements. The four distinct seasons in our country guarantee that every product shipped to our customers has been rigorously tested under the extreme conditions they are meant to be used in. This means that our skid plates have seen action from scorching summer heat to freezing blizzards to everything in between, our winter product line has been thoroughly tested in the cold Estonian winters, and our forestry and agricultural products have seen countless hours of action in our dense forests and seasonally changing fields. We value and rely on user feedback to keep our product development current and relevant. If you have experiences with our products or ideas for something completely new, we would be more than happy to hear from you. Please let us know by sending an e-mail to feedback@ironbaltic.com, filling in the form on our contact page or dropping us a line on our Facebook page. We are also constantly looking for distributors and resellers around the world to get our products closer to users. So if you feel that our products are something that could add value to your customers, please send us an e-mail to sales@ironbaltic.com or fill in the form on our contact page. We will gladly introduce ourselves and our product lines and discuss our future partnership in more detail.